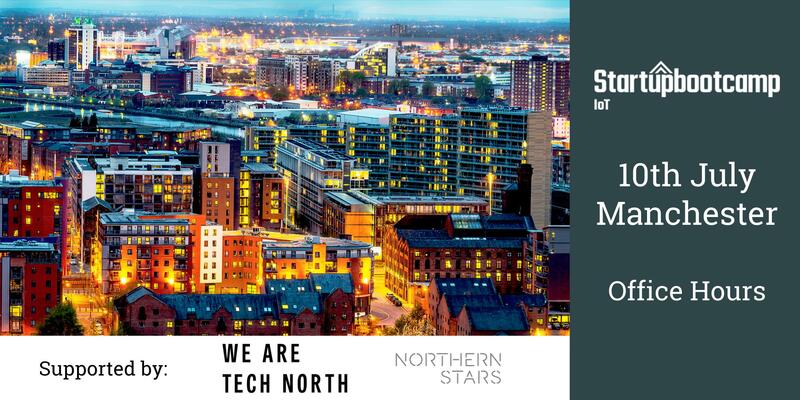 Startupbootcamp IoT is coming to Manchester with the aim of meeting and helping some of area’s best entrepreneurs working in IoT and hardware. If you think that might be you, are keen to learn more about Startupbootcamp IoT and our 3-month program, or simply want to benefit from our mentors – receiving product and investment feedback on your startup – then these office hours are for you. Applications for our second program, which begins in October, are now open. As with last year we’re looking to accelerate startups working on a connected device within either the consumer or industrial internet of things, although this year we’re particularly keen to support high-impact startups using IoT to improve sustainability, the environment and society as a whole. Join us on 10th July simply by registering through Eventbrite HERE.